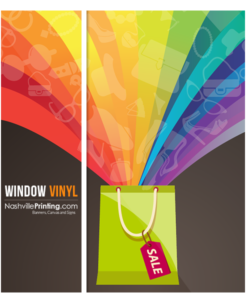 Window graphics from Nashville Printing are a great way to make a lasting first impression. 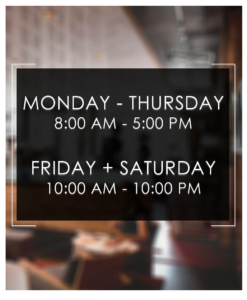 Printed on premium vinyls, your vinyl can be custom designed to put the best foot forward at your business. 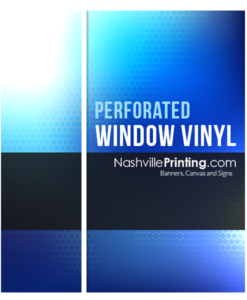 Available in smooth vinyl for the highest-quality images or perforated vinyl to promote visibility and safety through your windows, all graphics are finished with a UV resistant laminate and built to last.